When I was asked if I'd like to review Godox's Reemix RMII series, I had fairly low expectations. A swivel mount, telescopic aerial and umbrella holder might sound like gimmicks, but find myself liking it more and more. When I was asked if I’d like to review Godox’s Reemix RMII series, I had fairly low expectations. A swivel mount? An umbrella slot? A telescopic aerial? Surely this is just another cheap eBay flash trigger with some gimmicks added? However, no matter how much I want to dislike the Reemix, I find myself liking it more and more. What separates the Reemix RMII from the usual crowd of eBay triggers first and foremost is its physical design, which negates the need for an umbrella adapter. 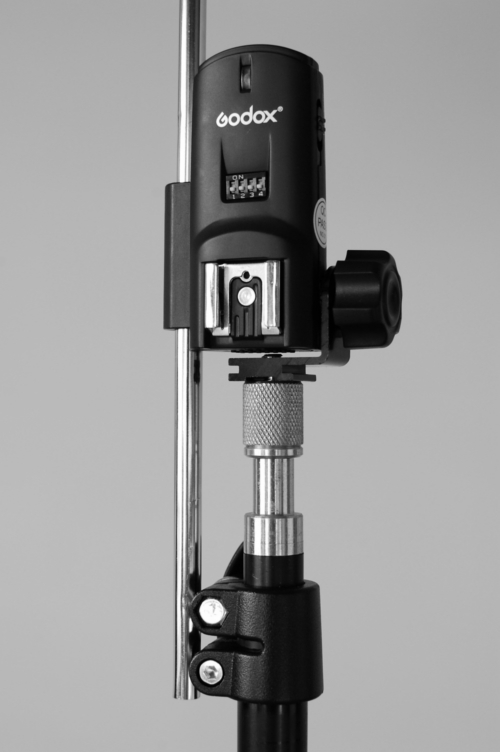 The tilt mechanism allows you to point the receiver horizontally, 45° up or vertically, while the side-mounted slot can support most small- to medium-sized 8mm umbrellas. 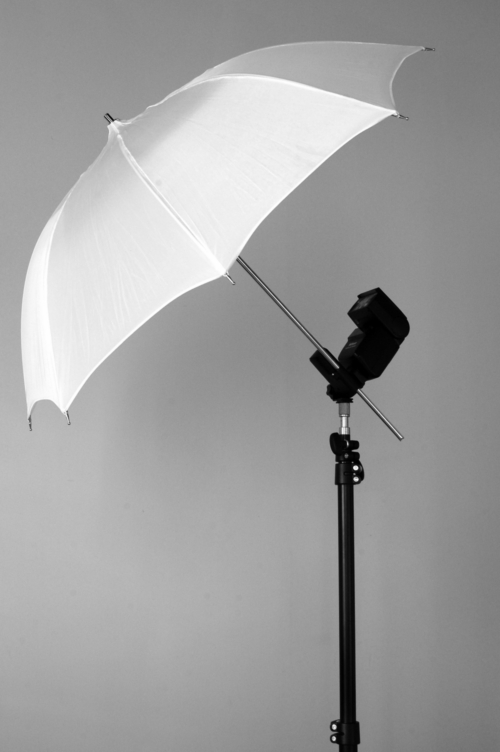 It won’t hold a Westcott 7-foot parabolic, but you’re unlikely to be using a speedlight with such a vast light modifier. Unlike the PT-04/V2 series (first generation eBay triggers) and their ilk, these structural mechanisms don’t feel like they’re about to break straight away. There are distinct grooves 45° apart which keep the Reemix receiver pointing where you want it (so long as those places are horizontal, 45° or vertical). I was expecting the umbrella holder to be tacked on the side and fall off within minutes, but it’s actually an integral moulded part of the whole unit and certainly there to stay. A Nikon type locking pin hole on the hotshoe ensures that your flashes will stay put. On the transmitter, an aerial can be extended for additional range but I always keep it retracted for maximum durability, and have encountered no problems with reliability in this position. 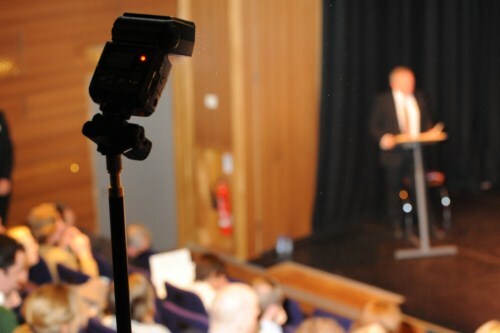 In the run up to the Scottish Parliamentary elections I used the Godox Reemix to trigger off-camera flashes at hustings in Edinburgh. No misfires were experienced, despite taking hundreds of photographs during the debates. The transmitter’s low, horizontal profile inspires more confidence than, say, the Aputure Trigmaster or Phottix Atlas, which stand upright. One quibble, however, is that the receiver cannot be properly pointed downwards to the 45° position, so you can’t tighten it there. Instead I simply loosen the knob and let the receiver sit there, as shown. Some users may also prefer a trigger with a tightening knob on the umbrella holder, rather than simply the spring/friction grip provided by the RMII. In shutter release mode, I like Reemix’s built-in self timer and bulb modes and the use of standardised synchronisation ports. AAA batteries in the receiver (though not, unfortunately, the transmitter) are always good to see. LED indicators are bright and clear. Unlike on Yongnuo RF-602s, the channel switches are easy to change by hand. These conveniences are sure to appeal to the “Strobist”-style travelling speedlight user, along with the price. Features you might miss, however, are TTL pass-through, waking flashes from sleep mode and wireless flash grouping. 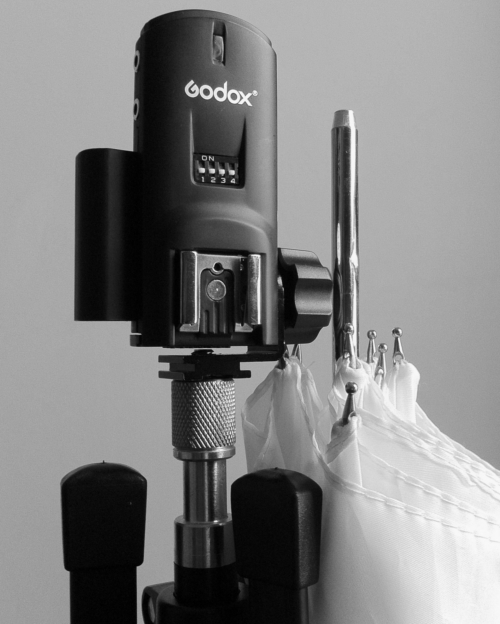 You can get the Godox Reemix RMII from Elemental (UK) and Walimex (DE). The Reemix RMI (the same as RMII but without the umbrella slot) is available from Adorama.